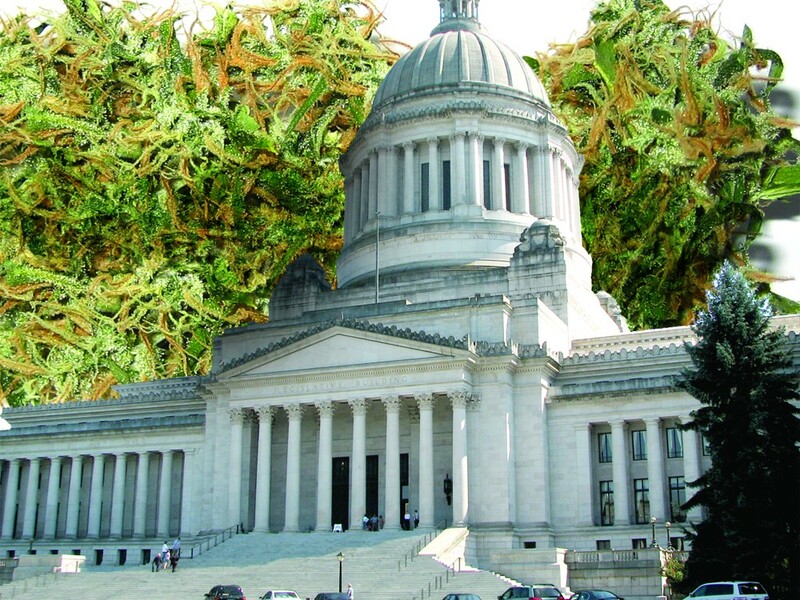 Three measures in Olympia could change the way Washington state looks at pot. It's medicine. It’s like liquor. It’s worth $400 million. It’s illegal. This is your state on marijuana. Three measures working their way through Olympia right now aim to change the way the state deals with marijuana, including legalizing it, making it easier for sick people to procure it and taxing the hell out of it. The legislation could give Washington the loosest marijuana laws in the nation. Kohl-Welles has introduced a bill (SB 5073) that would make the state’s already numerous dispensaries legal, and give patients and providers stronger legal protections. The bill has already had a public hearing and observers say it’s more likely to succeed than any of the measures being proposed. State Rep. Mary Lou Dickerson, also a Seattle Democrat, is attempting to fully legalize pot. Her bill (HB 1550) would allow the drug to be sold in state-controlled liquor stores and would tax it at 15 percent to support state health and substance-abuse programs. She says her plan could bring in an additional $400 million to the state’s coffers every two years. If any of the three measures succeed, Washington will either lead the country in legalizing all pot use, or stand with California and Colorado, two states where the medical marijuana dispensary industry now thrives. And if Washington leads the nation, some say Spokane is pointing the way. “It’s like a starter gun went off out there about six months ago,” says Philip Dawdy, media and policy director for the Washington Cannabis Association, a medical marijuana lobbying group. “You went from two or three or four dispensaries a year ago … and there’s like 34 now. In the city of Seattle, there’s less than 20. “Spokamsterdam is what it’s being called,” he says. Currently, state law regulates many aspects of medical marijuana, but it’s silent on the subject of dispensaries. “They’re neither legal nor illegal according to state law,” Dawdy says. It’s this silence, Kohl-Welles says, that’s hurting people. “We have a very flawed law,” she says. “Law enforcement has mixed views if dispensaries are the way to go, but they know we need to do something. … And what we need to provide is a bright line so law enforcement knows who is and who is not a patient,” she says. If her law passes, patients will be able to buy “from a licensed dispensary a product that’s been grown by licensed growers.” And though she says raising revenue is not her paramount goal, it’s an added benefit. Which is why Dawdy’s group has put its effort behind the Kohl-Welles bill. All these complications — and more — could be avoided if marijuana were fully legal, says Douglas Hiatt, an attorney leading the statewide initiative effort. Hiatt says that farmers and housewives in Wenatchee, residents on Bainbridge Island, and tribal members in Colville (who are interested in planting hemp) support the initiative. Which is all very impressive — until you realize that a very similar measure proposed by Hiatt’s group came 50,000 signatures short of even reaching the ballot last year. “We never failed. We never got the vote,” he says, suggesting the outcome might have been different if all voters had a chance to weigh in. “What’s going to get us more signatures [this year] is we’re ten times bigger, literally ten times bigger, than we were last year.” The group has already raised more money than they spent in the entire campaign last year. “The politicians we have are completely failing us,” he says. “We want to do something now that works. … I mean, we all know prohibition doesn’t work.